Few living people can claim to have ridden in a World War Two Tiger Tank – you have the chance to be one of them. 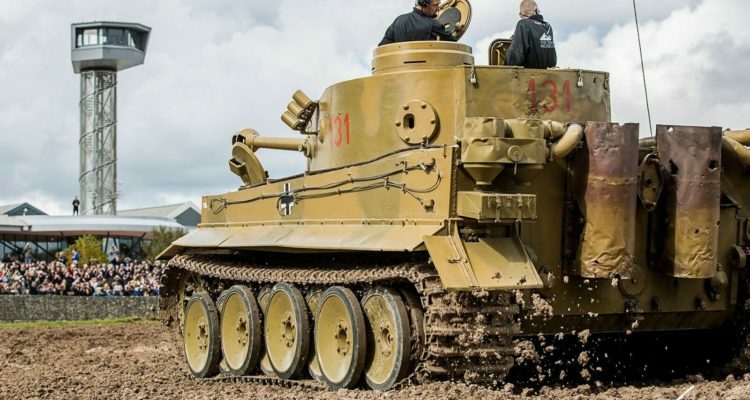 The Tank Museum are giving you the opportunity to ride inside Tiger 131 on Tiger Day 11. A ride in the Commander’s seat in Tiger 131 will be sold by eBay auction, running from 3pm 25 January to 4 February. 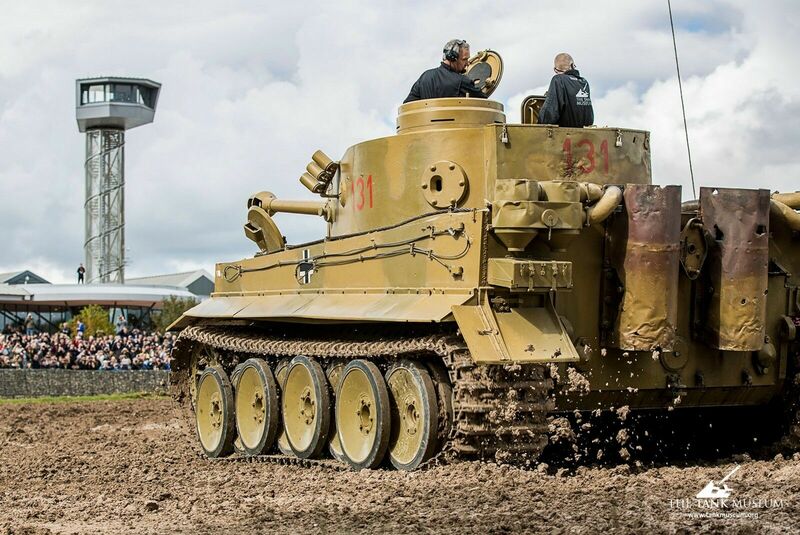 The highest bidder will be able to take a ride in the infamous Tiger 131 around our arena this coming Tiger Day, on 27th April 2019. They will also receive two Sunday Premium Tickets – the ultimate VIP experience for a Tiger fan – for themselves and a guest. The Sunday Premium experience takes place on 28th April, the day after Tiger Day. Find details of the Sunday Tiger Premium Tickets here. No one else in the world can tell you what it is like to operate, maintain and drive a Tiger tank. Nowhere else in the world can you see one in action. No one but you will be riding in the commander’s seat that day. 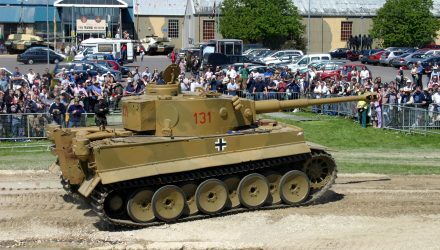 Ride in Tiger 131 in a lunchtime display examining and comparing this Second World War beast to its Axis and Allied contemporaries. Enjoy the delights of Tiger Day 11 and explore The Tank Museum. Look inside and climb on Tiger 131, Panzer III, Panzer II and Panther. 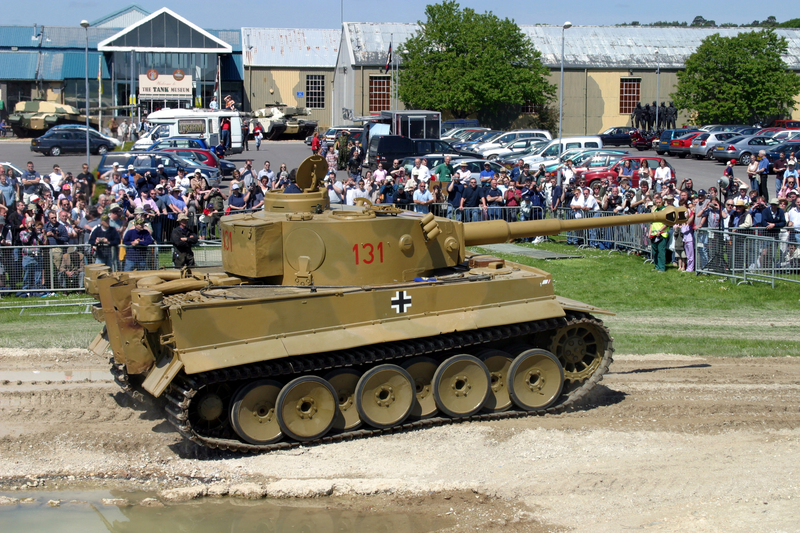 Gain exclusive access to the vehicles used in Saturday’s live vehicle display (including Tiger 131). 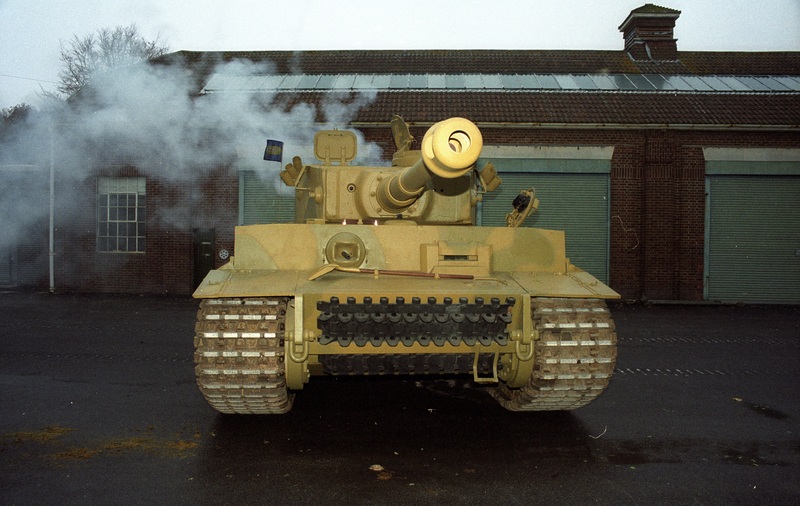 Go behind the scenes and discover where Tiger 131 was painstakingly restored. Opportunity to meet the Tiger 131 workshop mechanics. 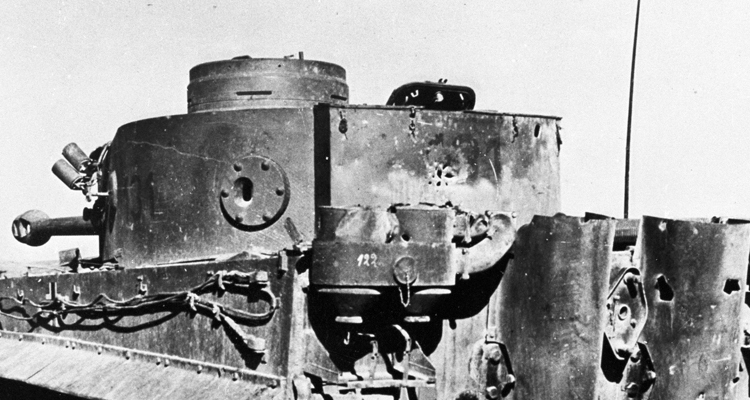 All proceeds go to help safeguard the future of The Tank Museum’s collection. Please also note that we will not cancel any winning bids – if you place a bid and win the auction, the items is yours and you will be expected to pay for it. Winner must be available on 27th & 28th April to claim their prize from The Tank Museum. 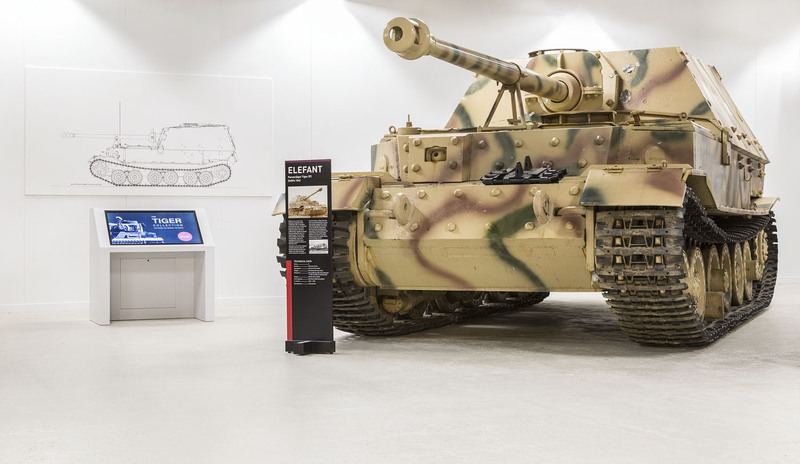 Please Note: As with all of our historic machines, the appearance of the Tiger tank in the live tank display is subject to its mechanical reliability along with health and safety considerations of both the crew and the visiting public. In the event of mechanical failure reasonable steps will be taken to re-arrange a mutually convenient date for the Tiger tank ride element of this lot. The winner must arrange their own transportation to and from The Tank Museum at their own cost. Prizes are only transferable at the discretion of The Tank Museum. For health & safety reasons, it is essential that the winner must be able to climb in and out of the tank unaided. The winner and his guest will be expected to comply with the Museum’s instructions on conduct and safety during their experience. Height restriction: the winner must be over 1.25m and aged 18 years or older.